Well, it’s been a couple of weeks since I have done any serious meal planning. We’ve been eating a lot of whatever-we-can-come-up-from-the-cabinets and frozen stuff, not to mention the tamales in the freezer. I have been off my regular grocery shopping schedule. And I haven’t had any time to go to the Farmer’s Market. Boo. But this next weekend I am already planning to go to the Farmer’s Market and then I was hoping to head up to Dixon’s Apples, but it looks like they are already out of my favorite apple, the Champagne. They have only been open since Thursday! Wow! I knew I should have gone up today but alas, I needed to go into the office. Oh yeah, that’s the other thing that has been wreaking havoc on my meal planning. Unexpected overtime and late meetings. I haven’t made anything from it yet but I will be sure to let you know when I do! There are a lot of wonderful ideas in here. In fact, we have one of them on the schedule for this week. So, you’ll probably be seeing some renditions of items out of these cookbooks. There are some great ideas in all of them. Okay, for real, the menu plan. This week’s theme for the Gluten Free Menu Swap is pears. Unfortunately I don’t like pears. So no pears here this week. But there are lots of other yummy things on the list this week! If you do like pears (and even if you don’t), go check out the other ideas at the Menu Swap. This week is hosted by Cheryl of Gluten Free Goodness. Unfortunately there is a lot of tofu and pasta on the menu this week. I usually try to avoid eating tofu more than once, maybe twice, a week, as I like to mix up my protein sources. But apparently I wasn’t paying attention when I wrote this up and then went to the store. I am sure we’ll be fine this week but next week we probably won’t be eating too much tofu! What’s on your menu this week? 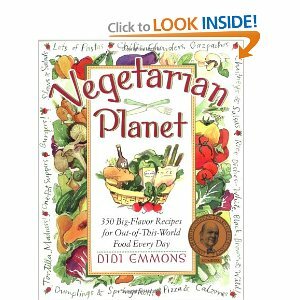 Any new cookbooks that you are enjoying? what a bummer on the apples! Have a great week, and those cookbooks look like great fun. 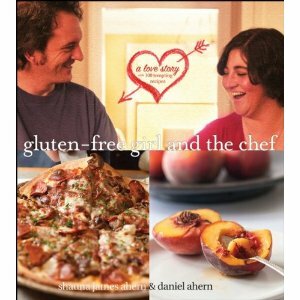 We have been having fun with the Gluten-Free Girl and the Chef the past few weeks. I can’t wait to hear what you make. Your menu sounds good! I don’t like pears either, unless they are asian pears, so I can identify. 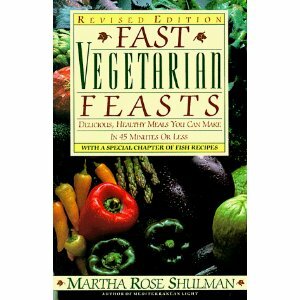 I’d love to hear a vegetarian review of the Gluten-free Girl book, as the only recipes I’ve heard reviewed are not at all vegetarian. Oops! I haven’t had a chance to take a look at it myself yet. A paperback swap sounds fun. Happy cooking! Hi Sea! I haven’t gotten to reading much of the cookbook yet. There are a lot of meat recipes in there. But I am sure some can be adapted. I need to try some of your latest creations!